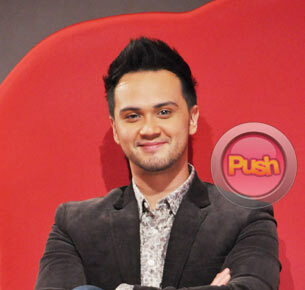 Billy Crawford admits that while he and his girlfriend Nikki Gil hope to end up together, they want to do things right. Billy Crawford denied that he got jealous of Patrick Garcia who starred with Billy’s long-time girlfriend, Nikki Gil, in the pilot week of the teleserye Apoy Sa Dagat. Patrick and Nikki portrayed star-crossed lovers who had twin daughters played by Angelica Panganiban. Since Patrick and Nikki were required to act as a couple who are very passionate and very much in love with each other, Billy allegedly got jealous and had a rift with Nikki that lasted for a week. Billy, however, denied this in a recent interview. “Unang-una, siya (Nikki) ang unang-unang lumapit sa akin at nagtanong kung okay lang… bilang respeto rin naman niya sa akin ‘yon,” related the It’s Showtime and Pilipinas Got Talent host. “Pero trabaho niya ‘yon, wala naman akong magagawa.” Billy added that he was not able to watch those episodes with Nikki and Patrick, but knew that the two garnered a lot of positive feedback for their convincing portrayals. Speaking of acting, Billy was also asked if he has any plans to do more acting. His last movie was Moron 5 And The Crying Lady in 2012, while his last TV acting appearance was in Toda Max. The singer-host related that aside from having his hands full with hosting stints with shows like PGT, ASAP and It’s Showtime, he wants to concentrate on his music career. “Unahin ko muna ‘yung performing ko,” he said. “I’ve been hosting; may ASAP naman ako, PGT, [It’s] Showtime; it’s good to get back into singing and dancing,” he shared. Billy revealed that he is slated to fly to Paris, France this coming September or October to focus on his international album. He is not sure yet as to how long he will have to stay there. Nikki also said in a previous interview that she and Billy are saving up for their future, but Billy said that they are saving up individually. “Baka isipin ng tao joint account. We’re totally independent. Her money is her money and my money is my money, but we’re both just saving for our future,” he clarified. Billy continued that he feels that he and Nikki are blessed to have individual thriving careers while they are able to keep their relationship strong, even if it’s far from being perfect. “I couldn’t ask for more sa relationship namin. Di naman siya perfect… wala namang relationship na perfect, but it’s more than perfect for me,” he said.